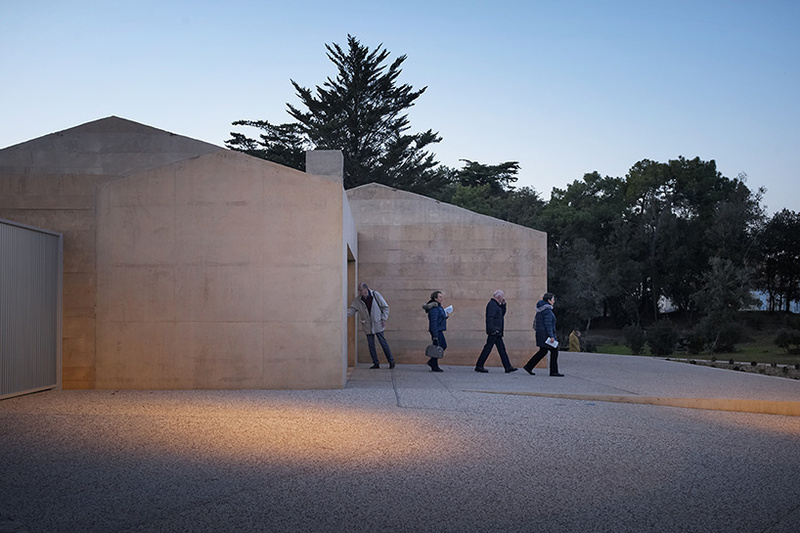 on france’s western coast, nantes-based architecture firm titan has completed a sand-colored structure that marks the location where georges clemenceau — the prime minister of france during the first world war — spent the last years of his life. 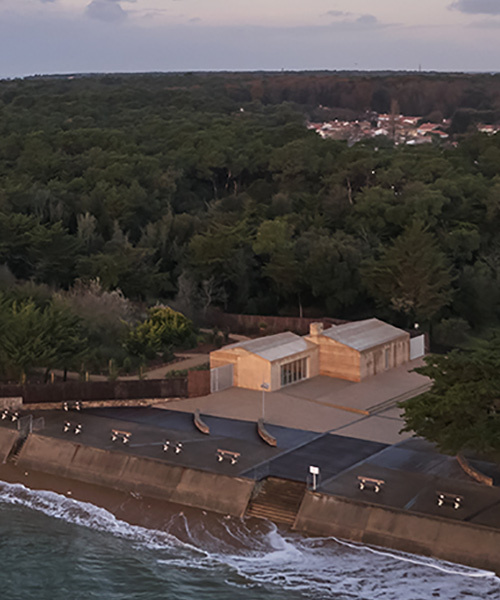 located at the ocean’s edge in saint-vincent-sur-jard, the building serves as a welcome pavilion, replacing a structure that was destroyed by cyclone xynthia in 2010. the pavilion has been rebuilt to acquire visitors and help reinstate georges clemenceau’s house as a national monument. 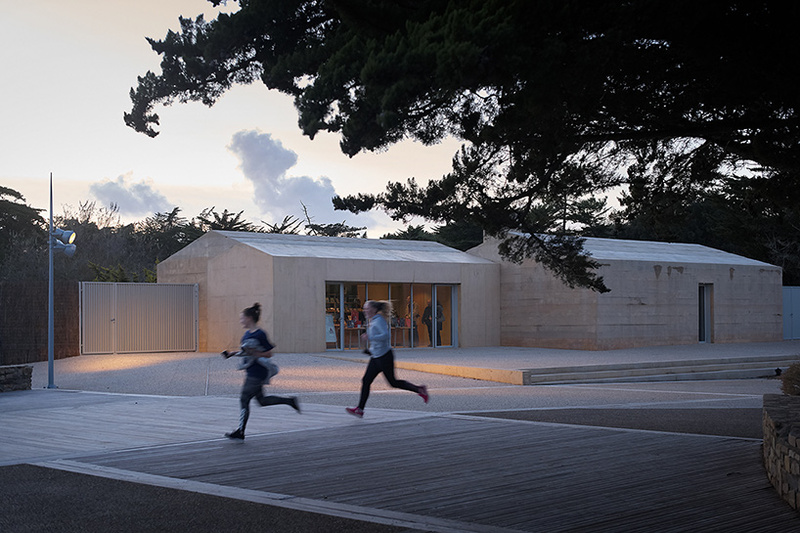 the new building enters into a dialogue with the original structure, while a landscaped garden — designed by clemenceau and painter claude monet — is sandwiched in between. 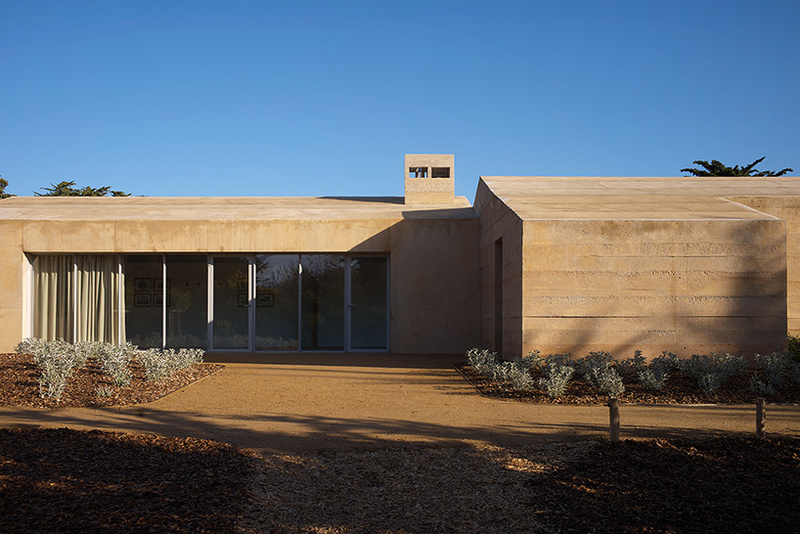 titan’s design is a discrete rectangular volume, gently embedded into its surroundings. 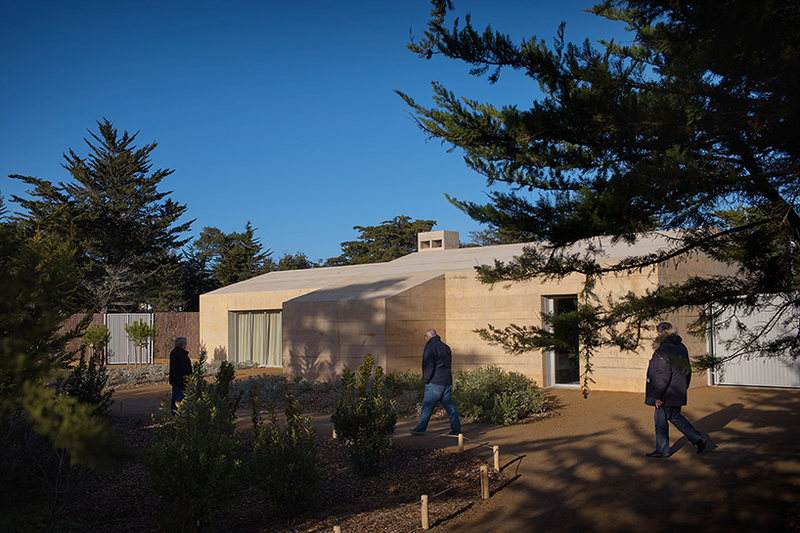 serving as the gateway to the gardens beyond, the building contains a reception area, a museum shop, and an educational space. 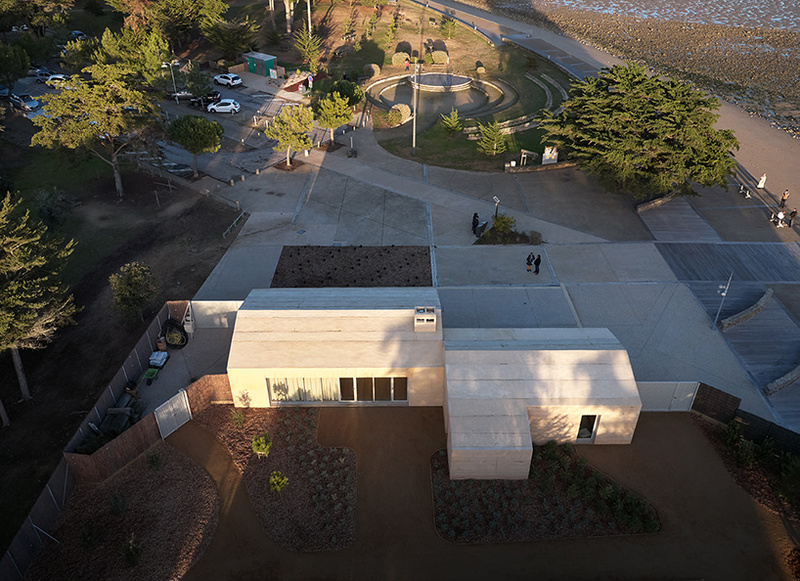 the structure has been built from sand-colored concrete, which gives it a robust and resilient appearance. 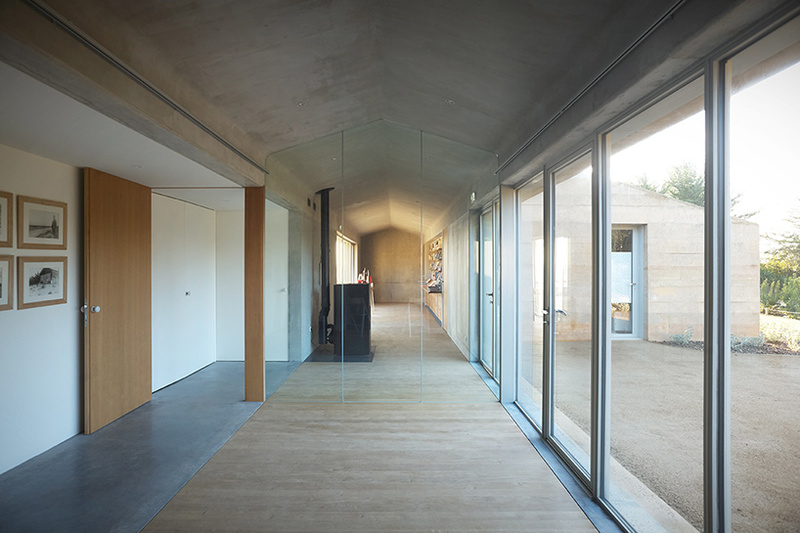 team: titan (architects-landscape designer) ecb, luc moreau, inddigo, arest.